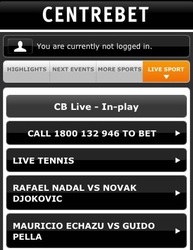 CentreBet are one of Australia's oldest bookmakers who were recently acquired by European betting giants, William Hill. Their newly revamped mobile betting app offers everything a sport or racing fan could need..
CentreBet Mobile can be used on iOS, Windows Phone, Android and more. 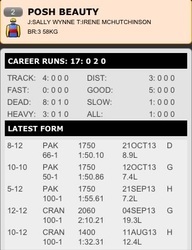 Excellent coverage of dog, harness and horse racing from around the world. Over 8,000 markets offered each year with a strong focus on Aussie sports. Includes inbuilt radio to allow you to listen to Australian sports live. Licensed in the Northern Territory, Australia, in 1996 Centrebet was the first licensed bookmaker in the southern hemisphere to offer online and telephone wagering services. 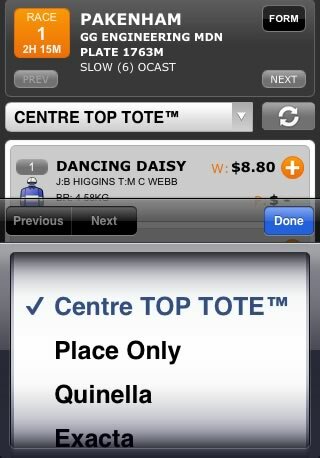 Now with an extensive online presence offering wagers on a plethora of Australian and international markets, Centrebet offers a fast and efficient betting experience on the move via its mobile site and downloadable apps. Available free for iPhone and iPad as well as for Android devices, the app is simple and easy to use and a good option for those wanting to bet on the move and with a special interest in Australian sports and markets. A mobile web app that looks and functions in the same way is available for Windows Phone, Blackberry, Nokia and all other types of internet enabled devices. The look of the app and mobile site on handsets is far from imaginative with a black background and chunky white font. What it lacks in colour and design it makes up for in usability and its simple look and organisation becomes an asset. Free of distracting tabs and excessive information and features, users are met with tabs for the three main Australian sports across the top of the screen (Aussie Rules, Rugby league and Rugby Union) for quick access options and tabs for sporting highlights, upcoming sporting events, racing and live betting. Your account and further information can be accessed via tabs at the bottom of the screen. In the racing sections, betting options are initially displayed according to the next to jump and form on a particular horse or dog can be viewed by the touch of a button. Navigation is quick and hassle free and the simplicity of the app makes for an efficient tool for placing a bet on the move. 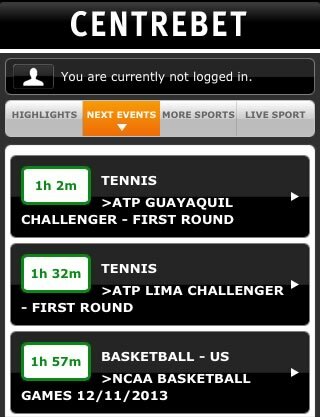 Live in-play betting is offered on a range of sporting events from around the world. The options are decent, although perhaps not as comprehensive as some sites. The drawback for international customers again is the Australian government’s prohibition on online betting during live sporting events. This means that punters wanting to bet on in-play events are required to call up Centrebet in order to place their wagers. One of the strengths of Centrebet is the sheer number of different betting products and price promises available, particularly for those wagering on racing. Customers have options from basic win bets to more complicated combinations such as Trifectas (selecting the first three places in order) Win6s (nominating the winners of six different races) and Parlays (differing set multi-race combinations). 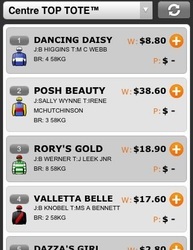 Exclusive to Centrebet is ‘The Great Escape’ (selecting the winning horse in four designated final races of the day). More unique still are odds versus evens and inside versus outside allowing punters to bet head to head on horse and greyhound racing respectively. Place a bet on even number horses to triumph or the inside boxes to prevail over the outside boxes at dogs meetings if you are unable to pick the winner or want to have a more unusual punt. For sporting events, betting options range from single bets to margins (betting on the winning margin of a side in Australian football, Australian rugby league, Union and Basketball) and Parlays. Interesting options come in the form of line bets where punters can bet on an event with the favourite handicapped by the bookmakers. Bets on whether the handicap is bettered are not are available. Centrebet’s exclusive ‘Pick your own match’ allows customers to pair their team against another in the NRL and AFL. If you don’t feel your team can beat its scheduled opponent but can outscore another, odds are available. Equally attractive is the large number of price promises offered on racing and sports markets alike. 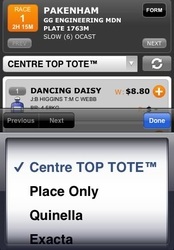 Too numerous to mention here, Centrebet provides a number of guaranteed odds and payments from the ‘Centre Bet’ (offering fixed price odds at the time of wagering or the Best Tote price, whichever is the greater) and the ‘Centre Top’ (win dividend guaranteed to equal or better the official dividend declared by the three main Australian totalisators) to the Best Fluc (bets placed up to 30 minutes prior to race start guaranteed to be paid at the top official on-course fluctuation). In addition to the various price guarantees available with Centrebet, it also offers a staggering amount of promotional offers on nominated sporting and race events. These vary with event but generally take the form of money back offers on losing bets. 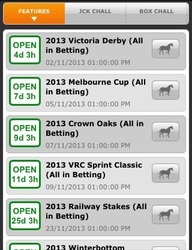 Generally, they are numerous and far in excess of those ordinarily offered by online bookmakers. For example, current offers include a money back special on Lions versus Wallabies matches – for those placing a bet on the first try scorer in any match where the selected player scores the last try, Centrebet will pay out anyway. Place a bet on any head to head match at Wimbledon and if your selected player loses in the fifth set the bet will be refunded up to $100 cash. Various similar offers and bonuses also apply throughout the year on selected matches and race events. Introductory and joining offers are also available. 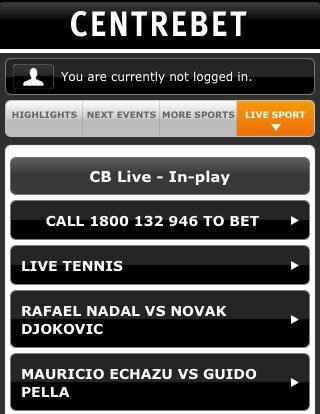 Sign up to Centrebet and receive a free bet up to $200. Simply open your account, place a bet and once the bet is settled your account will be credited with the free matching bonus bet. The offer applies only to Australian residents save for excluded residents of South Australia, Western Australia and Victoria. Furthermore, a refer a friend promotion offers a free $50 bet to account holders referring a friend who signs up to Centrebet. Support is available 24/7 via dedicated telephone lines, email and live chat via the internet (calls are free within Australia). Centrebet prides itself on its security when depositing and withdrawing from accounts and information is available online regarding banking details. Once customers are logged into the app, their accounts can be easily accessed via the tab at the bottom of the screen. 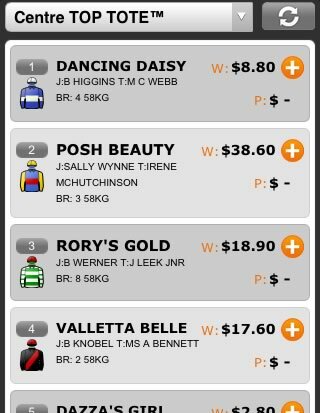 The Centrebet app is an excellent option for those with an interest in race and sports wagering and for those with a particular interest in the Australian markets. Although it lacks the fancy features of many online bookmakers, it is designed for those who want an efficient and easy to use app for betting on the move. 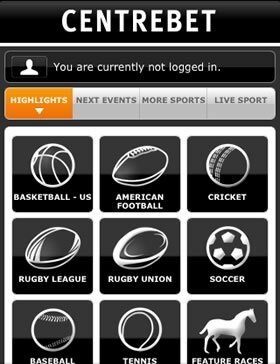 For those serious about sports betting, the app is at the forefront of the Australian wagering markets and offers an almost unrivalled array of betting options and types. 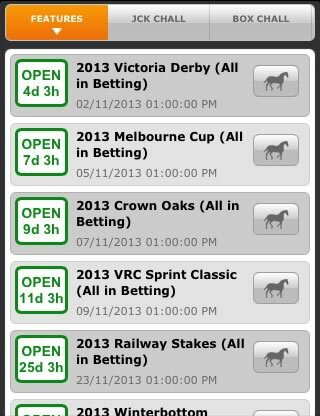 For punters looking to go beyond the ordinary bet type, this is the bookmakers for you. With imaginative and rewarding bet offers and rewards and attractive and simple introductory promotions, the app is an excellent choice.